Hai there! I took a small much needed break away, with trying to get my kidlet ready for the second round of camp, as well as back to school gear, kept my time limited for the last week or so. But I have these amazing clothes and of course a new set from What Next to show off. The wonderful and pretty Mesh Damask Jeans are a new release from One Bad Pixel, I am crazy over these jeans as I am a lover of damask and would so love to have these in real life! There are many gorgeous colors to choose from…….so yes it was hard for me to choose……I would suggest a fatpack only hehe! I have paired them with some very pretty items I picked up at the 2 year Anniversary of Collabor88. The soft Elizabeth Hair with the gorgeous hair piece is so wonderful. The amazing Marilyn Pearls from Deco and of course the new Mesh Norma Tank from Decoy. Glam Affair has this amazing Katya Skin out in tones Pale and Jamaica. I am wearing her in America as I picked up this tone at the last round of The Boutique, but I love Katya in any tone as she is just beautiful! There is a new Nail Salon Opening up at the Baiastice Main Store, Nailed It has many fabulous new Mani and Pedi’s for the new SLink Avatar Advancement Mesh Hands and Feet, check them out if you love this endearing little detail that completes every outfit! Ola! Today I bring you some new releases from One Bad Pixel. I really just adore the fabulous Salone Top and Pant ensemble. The mesh Salone Wrap Top has two different versions, the other being half gold instead of a solid color. These perfectly fit my shape as soon as I put them on…….even my boobage as I mostly have to scale them up and down accordingly. The pants have the fabulous jewel like design on the bottom which I just love, both come in many wonderful colors to choose from. I am also wearing the Mesh Vintage Two Strap Heels from SLink, the first of their kind which I picked up at the Vintage Fair last summer. These beauties came with a set of the amazing SLink Mesh Feet…..which eventually led me to replace my sculpted feet for mesh. Even though we have progressed beyond these heels as many now can have skin matching appliers (woo hoo), pretty nail appliers and the ever fabulous SLink Shoe Appliers that are being made by a number of people all over the grid. Not being a Lola owner, I had not had much experience with appliers as of late…….so I think these are wonderful options, but I still love these fun and flirty heels and keep them close by in my inventory for the right occasion. Eep has this hair out for the newest round of FaMESHed and I so love it, as this is my current style in rl. Hair 20 comes in a many phenomenal color choice’s but I chose the sand as it has the clearest root option…………………and of course I love roots , eep hair is somewhat still new to me……..but I just love this brand to death already! The Yummy Midsummer Blossom Necklace is still available at Collabor 88 so get these jewels quickly as a new round is upon us in just a few short days. I am out for just a short while today……rl is catching up with me quicker than I prefer hehe……………have a wonderful day and I will certainly………….. I am wearing the Bandana I made (ok textured) for The 2013 Hair Fair. I love the idea of the vintage fabrics and I actually have a few scarves in these colors in real life. I am not a creator…….lol I must have watched Sasy Scarboroughs’ You Tube video over 50 times (and not just because she has a to-die-for accent either hehe)…….but something finally worked and here it is. There will be so many beautiful bandanas to choose, I usually pick up a handful each year……these are a fantastic replacement of hair when off to high volume events. I really love the idea of selling one’s own creation for a wonderful cause like ‘Wigs for Kids‘ Just a few months back I was diagnosed with cancer myself, and I met some really wonderful people in certain groups and at the institute. Even though I was one of the lucky ones not to lose my locks during this treatment, I had a sickness the year before that caused me to lose my hair for months. I felt terrible about it, but I looked at it in a SL perspective and went shopping! I bought beautiful hats and learned how to tie long scarves around my head……..as to not see or show what was happening underneath. I also found out I could make myself useful by teaching others what I had learned. The tears that came to my friends eyes as I whisked them up in a beautiful scarf was probably the most emotional moments for me throughout the last few months. I also delved into researching the cost of wigs and was flabbergasted. Having no control over this disease……….or any other one that takes over your life is bad enough. Losing your hair is something that is so much apart of ones self worth, and is just as traumatic. Then thinking about buying a hair replacement at the same time is not usually something most can handle financially during these times. Now…..going through what I and millions of others do every day, think of a child, your children, and mine, having to understand what is happening to them….surgeries……treatments…….hospitals……doctors…..medications……..all for the goal of one day hopefully being healthy. I have to say it literally breaks my heart at the thought. I have participated in the Second Life Hair Fair for many years, this year and last by blogging…..but always by buying up almost every beautiful style I can get……..this year is different for me though, now I will never forget how heartbreaking this can be for anyone……..but even more so for our children. So let’s all buy some hair and do not forget to grab those Bandana’s that are being sold solely for ‘Wig’s for Kids’…….because on July 28th, the last day of The Hair Fair we all remove our hair to show we care, Bandana’s are a great way to show that you do….It is the best we can do in Second Life to make our children hopefully feel more comfortable about themselves during one of the worst times. Ola! I am just going to be throwing posts at all my lovelies today….. because I intend to catch up! I am still wearing many fabulous items from My Attic at the Deck, I am just in love with the Lacuna Beach Set, the set comes with two different colors of the Bandeau top as well with an amazing Diametric Maxi Skirt………..I love the earthy blend of the Chocolate & Almond…..there are many different colors to choose from though. I am also wearing this fabulous new Bethany skin from Adam & Eve………..I was so enamoured I ran straight over to the main store and snapped up the SLink Mesh Hand Appliers to match my hands & feet…….I love Love LOVE that so many of my favorite skin stores have made these amazing appliers to match all tones to our SLink Mesh Hands and Feet, it’s just so much easier than trying to match them myself, I no longer fret over this and that is an amazing feeling all on it’s own. Along with a few of my favorite things I bring you one more lovely look of the day…….thank goodness we can change as much as we like here in sl! Ola! Hope everyone is enjoying their weekend……I have been busy trying to recreate all my curves………dear lawd……back-up back-up back-up……these are things I know and also have many usb sticks but to no avail…….ah well it will be fun to recreate as well 🙂 Ok on with this evening’s wardrobe! My Attic@the Deck just opened and the theme this round is Change………and there are so many amazing items to be had, everything is either 95L or under and not to be missed, this is totally one of my favorite events. O m g Mina has made her first rigged mesh hair, Gaia……whom I love is a long style that tenderly hangs down your back and truth be known I carried this look in real life for many many many years hehe…….I think this is an amazing style and cannot wait for more!…….I love Love Gaia and I know you will as well! This cuter than cute mesh belted Chevron Dress is from DCNY, this fabulous beauty comes with a brown belt, a black belt as well as a no belt version. The color choices are so pretty with amazing textures, again I could not decide hehe….. 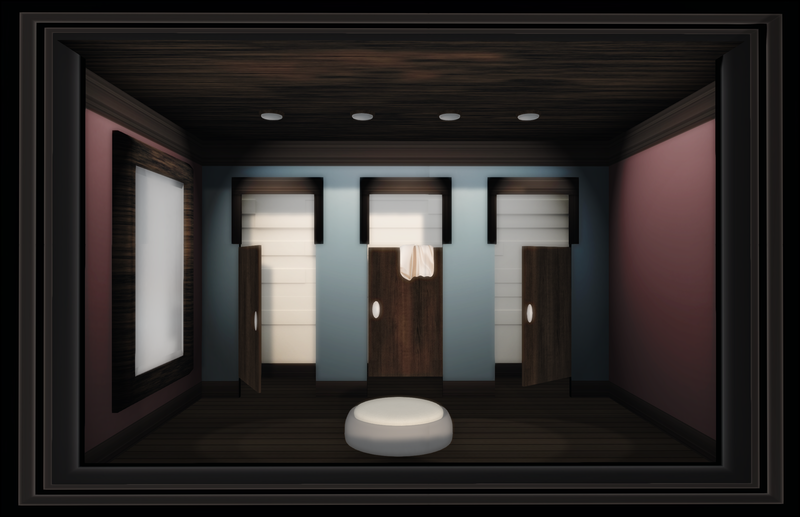 I also have a new WinxBox to show you…..this Change Chic shadow box from W.Winx & Flair is a wonderful version, not only is it your own changing room this WinxBox has six different poses included, as well the walls are all color change so you can make this your own private changing room or have your friends over too. I must say that with each release these WinxBoxes get better and better. You can change it up and add furniture as well! The Gaia hair from Mina and the fabulous little Belted Chevron dresses from DCNY along with the WinxBoxes are all available at My Attic@the Deck. I hope everyone managed to get over to [PXL] to buy this lovely Sophia Skin…..I adore this skin immensely and she is just as beautiful as her namesake. I finally wore both my SLink Avatar Enhancement Hands & Feet together and I have never been happier over using the new [PXL] Appliers, with just one touch of the hud and we will never have to manually try to color our mesh body attachments again…….which also brings me to the fabulous Flair Nail Add-On Appliers for both your SLink Avatar Enhancement Mesh Hands and Feet, Sasy has a huge collection out and I love every single color and set. These are a must have for everyone! Ok I must sleep! I wish you all a good night, get over to My Attic at the Deck for amazing deals and I shall…………………………..
As the night draws to a close for me I am all about this Canadian Wanderer Bookshelf from Cheeky Pea! I am so happy for the Canadian thought as I was green with envy when the American map came out not so long ago hehe. I have added a few of my own Canadian Items I have gathered on my travels in the past few years, the scrumptious Box of Timbits and the Roll up the Rim to Win Tim Horton’s Coffee……as well as the sweet Canadian moose. These 3 items are unfortunately unavailable now as they are many years old 🙂 But the Canadian Wanderer Bookshelf is available@FaMESHed for a few more days. I chose this fabulous Mesh Petra Leather Dress in Brown from Rebel Hope to go with the amazing Petra Leather Tiger Bag, The Brown Lizzy T-Strap Pumps from LaRoo are amazing all on their own…..but with this amazing ensemble how can you go wrong? And do not forget the yummy Mesh Fay Hair Style while at FaMESHed….amazing round this month! 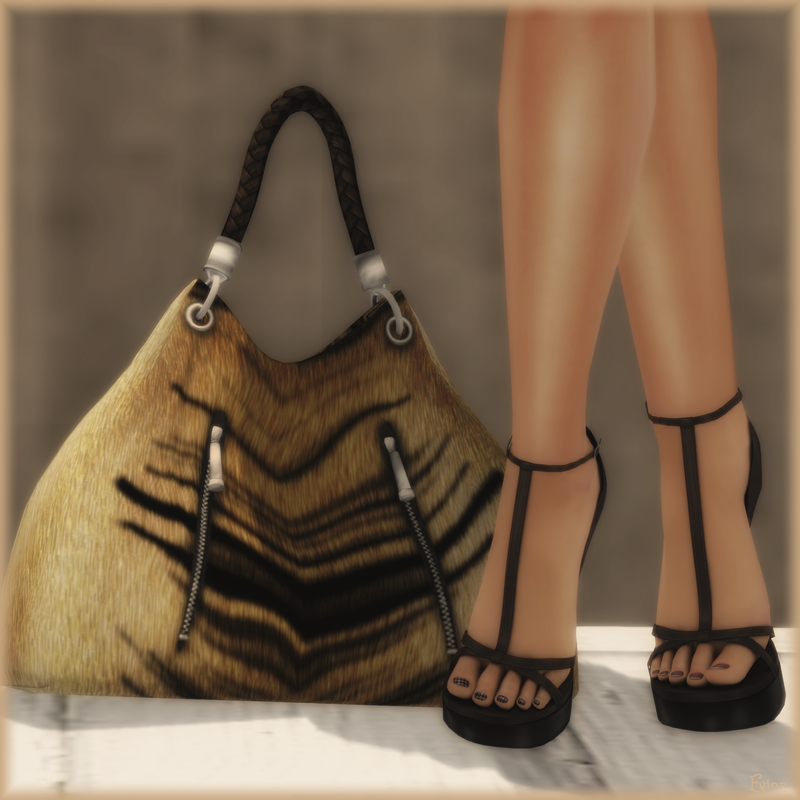 I just love Love LOVE this version of Ava from Belleza…she is still available for a very nice price when you tp into the store. I am sporting the fabulous Mesh Hands from Slink that I need to wear more often yes? Jewels are from Amorous…..amazing jewelry at fabulous prices….check them out! Ok I am off for the evening but I am still working on 4 more posts lol, Have a wonderful night (or day) and I shall…………………………………….